"I was a bit disappointed with his Pant’s shot selection." At the age of 22, Indian wicketkeeper-batsman Rishabh Pant has already represented the national team in all the three formats. He has managed to impress in the longest format with both bat and keeping gloves. However, the Uttarakhand-born hasn’t been able to show his prowess in ODIs and T20Is. Subsequently, he has been in and out of the team, much to his discomfort. After missing out the ODI series against New Zealand, he came back to play the T20I series. Nevertheless, he flattered to deceive in the first encounter at the Westpac Stadium in Auckland and could only score four runs from 10 balls before falling prey to left-armer Mitchell Santner. With the World Cup a few months away, time is definitely running out of Pant’s hands. In the meantime, Indian off-spinner Harbhajan Singh isn’t satisfied with Rishabh’s shot-selection by any stretch of the imagination. 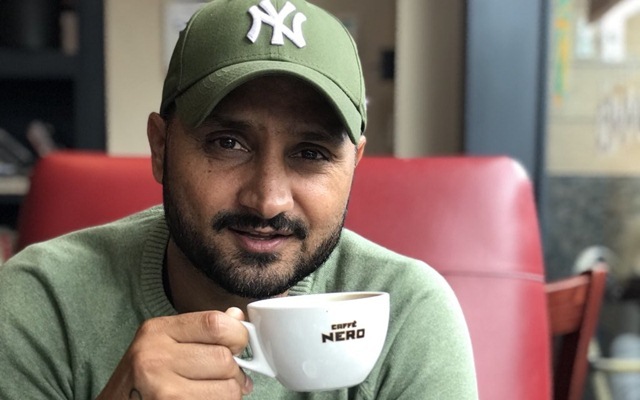 In an interview with Sports Tak, Bhajji said that Pant needs to understand his game better. “I was a bit disappointed with his [Pant’s] shot selection. He tried to reverse sweep the fast bowler a couple of times. When you see a batsman playing shots like that, it tells he is not backing himself. He has to understand his game and strengths and play accordingly. He has all the shots in the book. He should keep the reverse sweep as the last option but he should keep it as his last option,” Harbhajan told. Harbhajan also reckoned that provided Pant’s constant failures will open the doors for Dinesh Karthik, who has been exceptional in limited-overs cricket in the last year or so. “Rishabh is a talented cricketer and that’s why we are backing him a lot. We know he can be a big match-winner. But if he keeps wasting his chances, keeps on playing innings and keeps making such shot selections, then I feel, Dinesh Karthik may take his spot. Dinesh Karthik is a proper batsman… he has been doing enough in the last few matches as well. So I think, Rishabh Pant needs to get going in the upcoming matches,” he added.